I wanted to do a 100k ride as preparation and equipment check ride before the second Anchetty Recce, and the Institute holiday on Wednesday provided the perfect opportunity to do so. I had no route in mind, so when Sree suggested exploring a village route from Mangalore highway to Bachchenahalli I quickly agreed. We ended up discovering some new routes and rediscovering some old ones, over the slow ten hour ride. We started late - at about 7AM - and took Tumkur Road all the way till Nelamangala. A lot of the metro work has been completed, leaving the road fairly clear. At Nelamangala we decided to go to the "Davanagere Benne Dosa Hotel" for their speciality - Benne-Dosa. Benne is the Kannada word for butter, and many other riders on this route had extolled the virtues of their butter-soaked dosas. The dosas were terrible. There was barely a hint of butter, there was too much salt, and the dosa had not been fried properly. Sree pointed out that the cook was new (a trainee?). I washed down my disappointment with a decent glass of coffee and we set off again. We then got onto Mangalore highway till a village called Yettaghanahalli, where we turned left to head south towards Bachchenahalli. None of us had a GPS; Sree had some prints of Google maps directions, but we ended up relying on the locals' help. At the beginning it was a single lane asphalt road but soon turned into a trail. We had been asking for directions to Bachhenahalli, but it turned out that the locals had been directed us to Basavenahalli instead. This was to be expected - Bachhenahalli was too small and too far a village to be known here. Luckily we were on the right route overall - we found a nice smooth road to take us to Magadi Road. We reached our intended destination - the village at the top of the climb from TG Halli village only to discover that is not called Bachchenahalli at all - it is Varadenahalli. 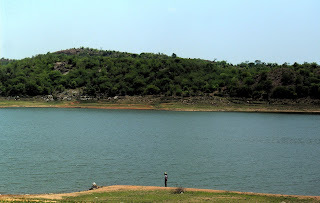 Bachchenahalli is a little bit further towards Magadi. It was quite hot by now and the climbs on Magadi Road seemed daunting; so we decided to head further south and return via Manchanbele instead. There is a trail that goes from TG Hallo village all the way till Manchanbele - I had been here on an earlier ride. Recently, GAIL has laid their Dabhol-Bangalore gas pipeline and flattened this trail out, quite literally. This is probably the stretch of pipeline that runs south to Bidadi for the (proposed at the time of writing) KPTCL power plant. 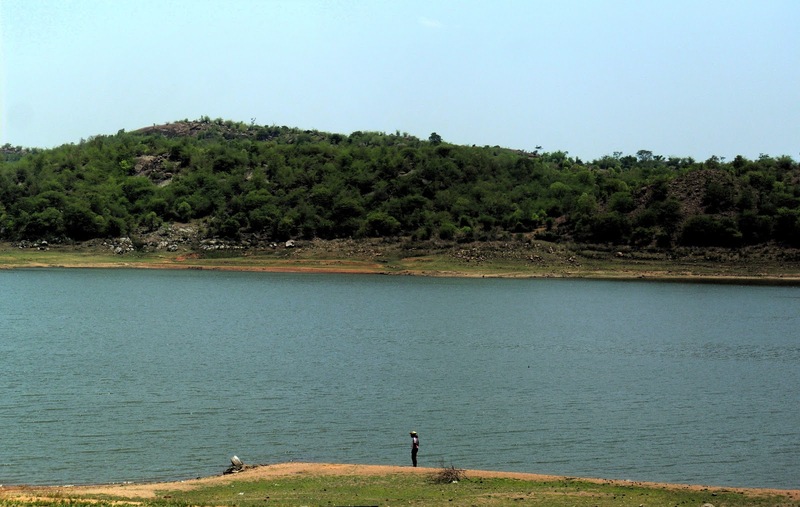 Manchanbele has recently been fenced off, on most of the eastern edge, apparently by the Cauvery Water Authority. From then on it was the usual populaire route with two exceptions - we avoided some climbing by heading straight instead of right from Chandrappa circle, and took a small detour to avoid the big Mahalaxmipuram Climb. Overall it was a super relaxed ride (we averaged barely 10km/h) with lots of breaks - including Coconuts, sugarcane juice, "Bindu Masala Soda", Ice cream and some flavored milk near the end.